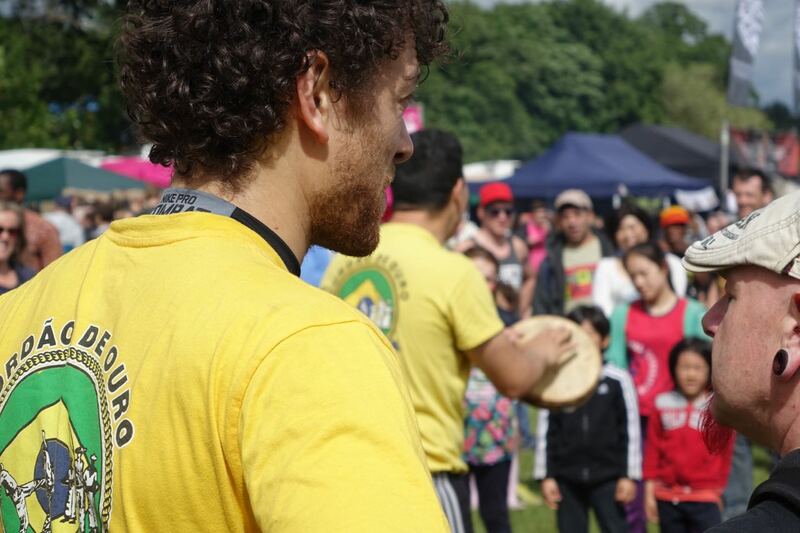 As you can see, our irrepressible Tommy Calderbank did eventually bring the sun out with the sheer force of his optimistic personality, but for the first couple of hours of today’s Africa Oye in Sefton Park it was a different and wetter story. I needed Africa Oyé today. 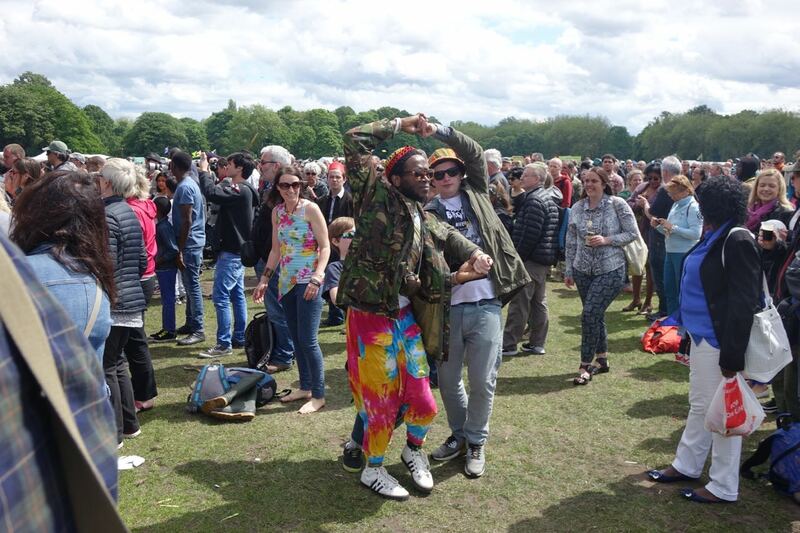 For various reasons to do with this being a blog and not a diary I needed the healing joy that this free festival has been bringing to my life for well over 20 years now. These have been tough weeks and it was time for some time for me. To celebrate Liverpool in the best way I know. A team of signers helping out this year too. But I arrived for lunch in heavy rain. And no queues to speak of. 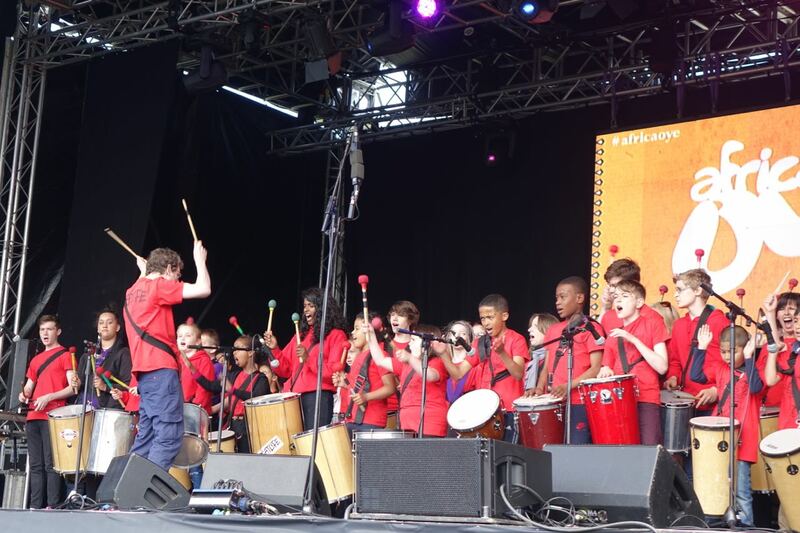 But nothing ever stops the drums at Africa Oyé. And even in the rain the bar needs attending to. But it was wet around the market stalls. All the music covered up at News From Nowhere. But the music carried on anyway. Mark McNulty and the other photographers getting in position. For the BKO Quintet, from Bamako, Mali. I really liked them. Third song into their set it felt like the park itself started to move. Undulating the way it always does when Africa Oyé gets underway. At this point though, I decided to go and dry off for a bit. So went to Lark Lane to see Carole and Ronnie in Greendays. When I got back to the park the rain was stopping and the place was filling up. And the next people on stage were all young – and from Liverpool. Performing songs from The Lion King. With their own improvised raps. The seriously impressive Creative Kaos. The place erupted for them. And I wasn’t the only kindly adult in the audience with fond tears in his eyes. Then Tommy brought the sun out. 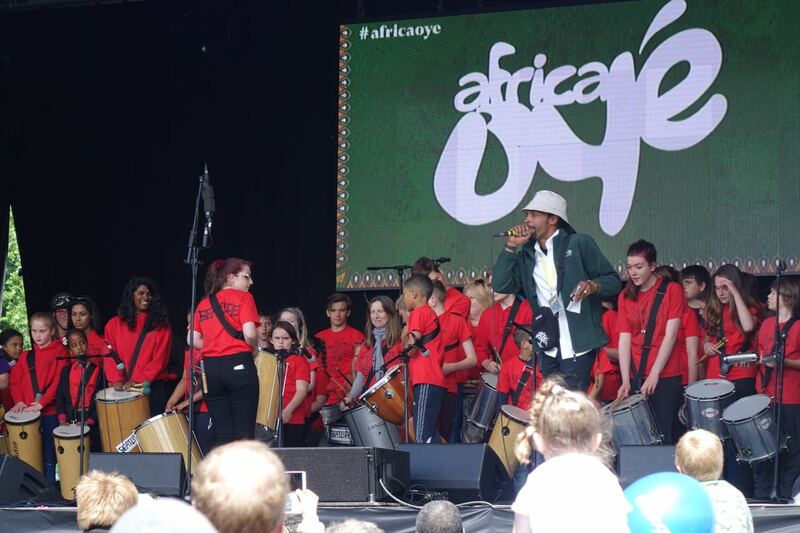 And we all settled down for an Africa Oyé day. 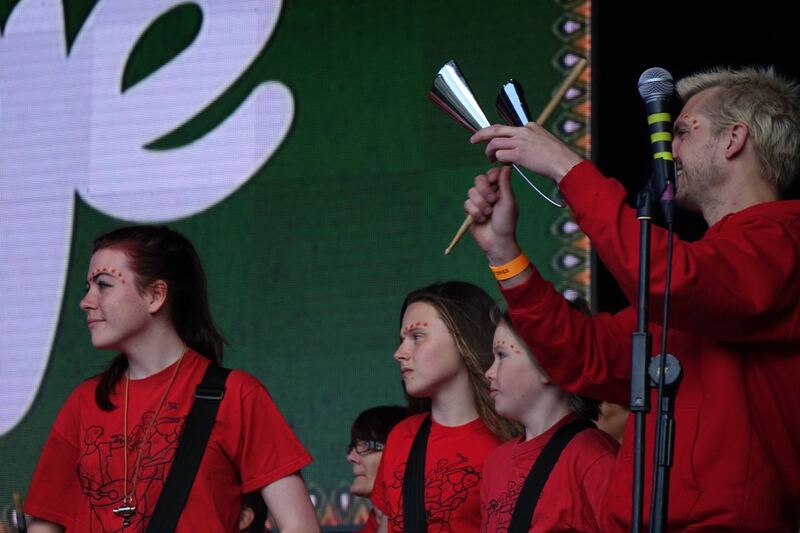 In truth, as you’ve seen already, it often rains at Africa Oyé, midsummer though it be. 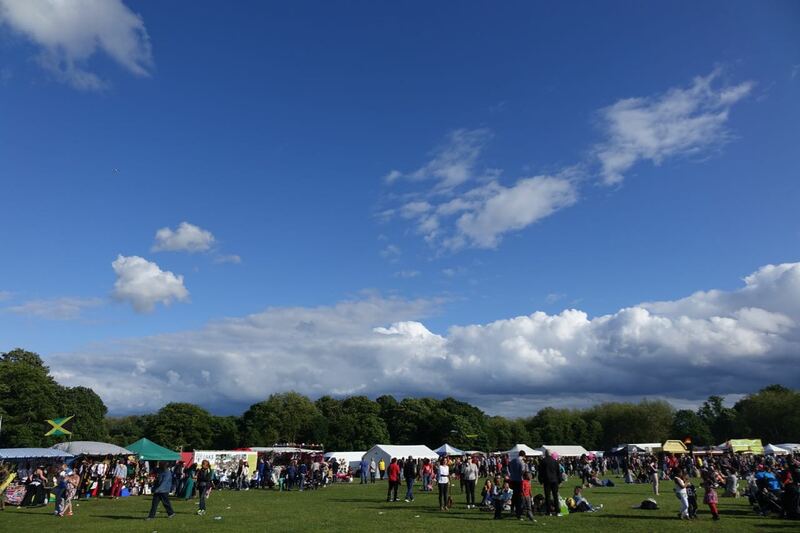 But in our collective memories the Festival takes place in endless summers of halcyon sunny days. Gorgeous music playing to a field full of hazy, happy and sometimes dancing people. Next up, the samba of Derito, from Angola. Nice guitar there. By now the music is sounding like liquid sunshine, just as well it’s sunny then. 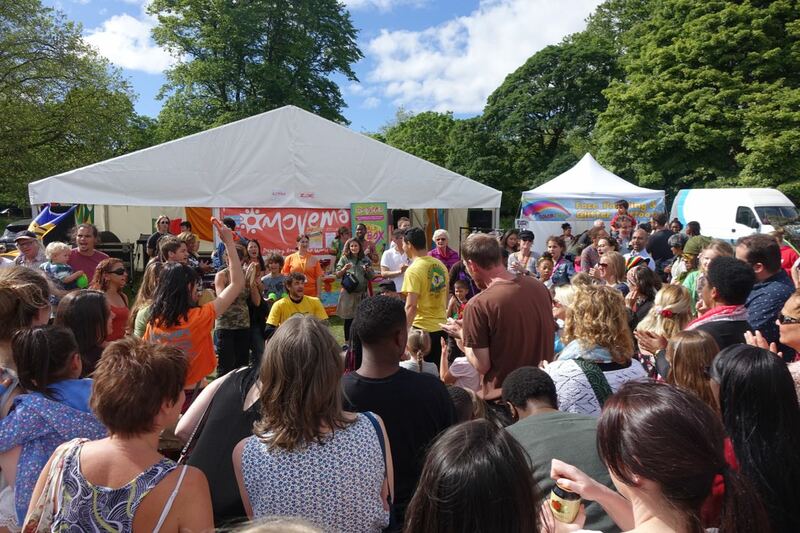 Next, and now a welcome fixture at all quality Liverpool events, the Movema tent. I am healed and at peace now. Africa Oyé has done what I came for, like I knew it would. I love this place so much, the magic village that appears in Sefton Parkfor one weekend every year like a Midsummer Dream. We’ll all be there again tomorrow. And to finish Day One, a little bit of the sound of Bamako, from the BKO Quintet. 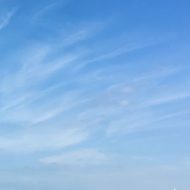 Sunny again, mostly, on the Sunday. 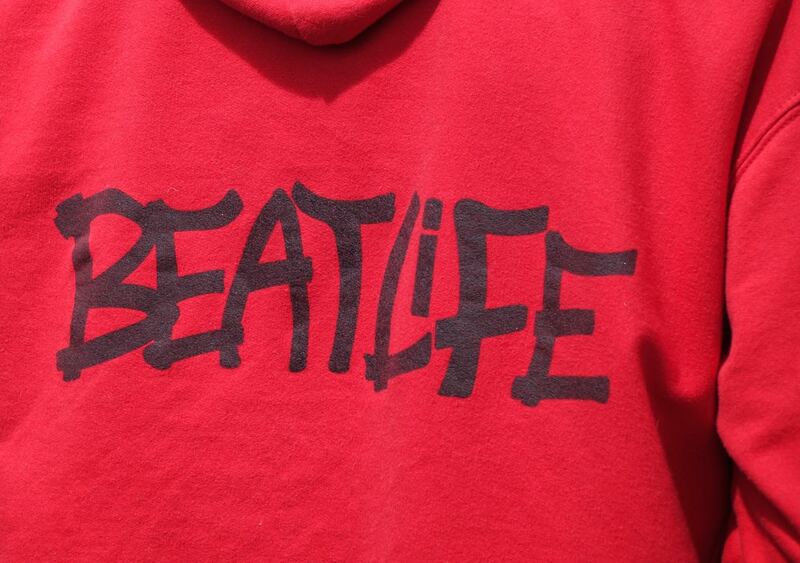 As I arrive Liverpool’s own Beatlife, together with Anfield Samba Kids, are on the stage. Tenth Oyé on the run for these. 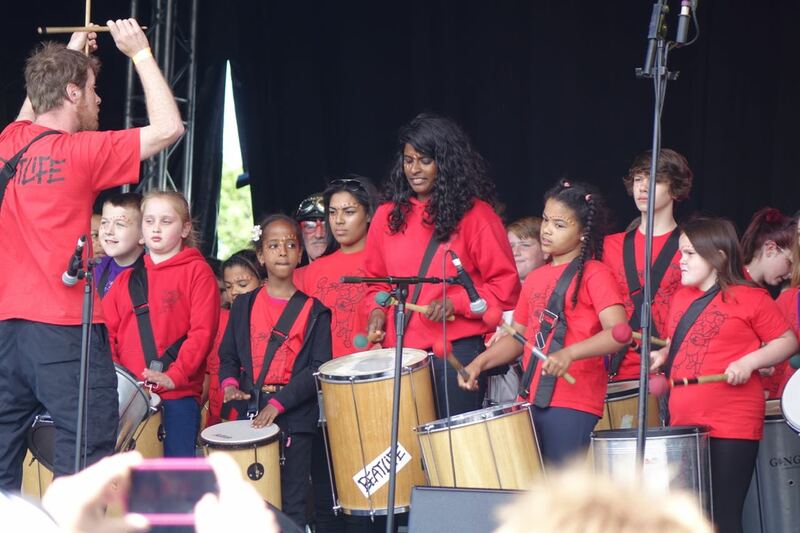 Our great community drum orchestra. Also vererans of many a Granby 4 Streets Market of course. Dancing is the only logical response. 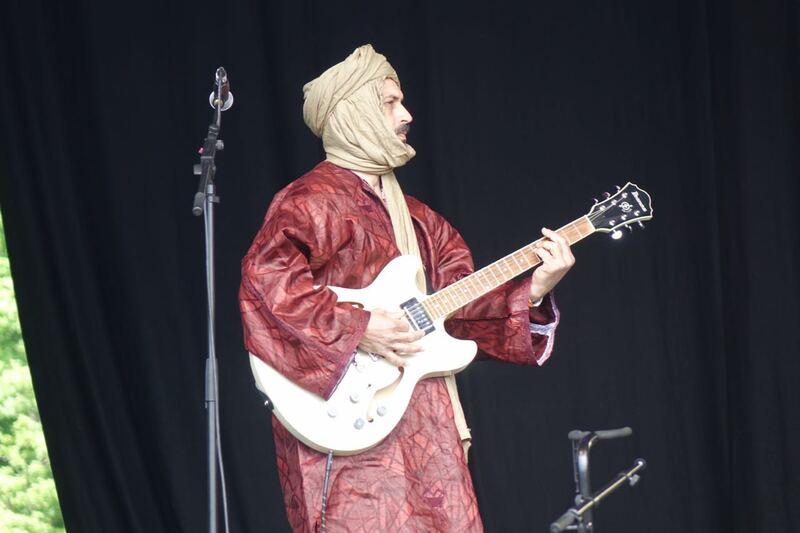 Next up Senegal’s Diabel Cissokho. And his desert blues band. Followed by a very welcome surprise. 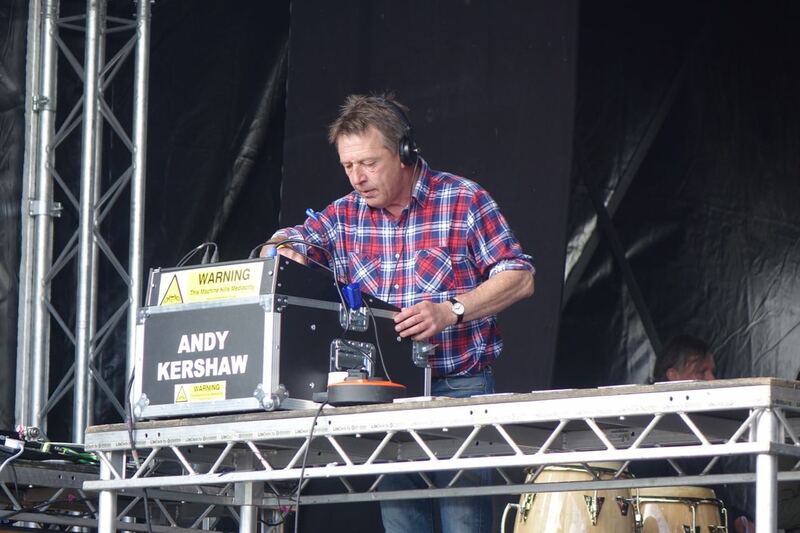 Yes that’s Andy Kershaw playing the records. Then, after much talking with friends, the field seems blissfully full of them, I wander over to the Movema tent, where they’re always up to something interesting. 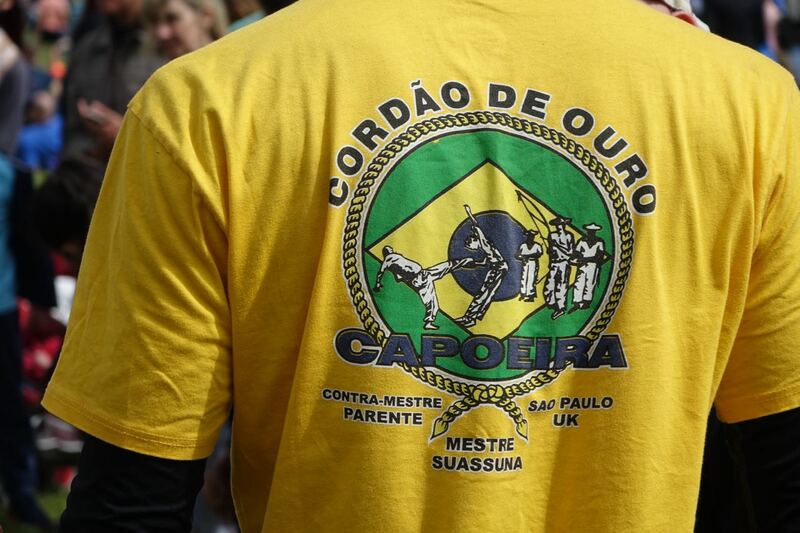 Right now it’s capoeira time. A Brazilian sort of marshall arts dancing? 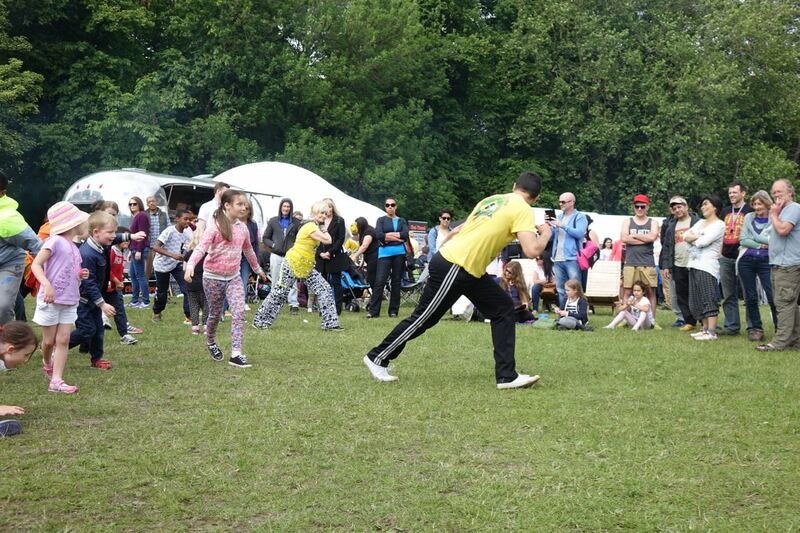 From Capoeira For All, Liverpool. Well done you two, and everyone who took part. 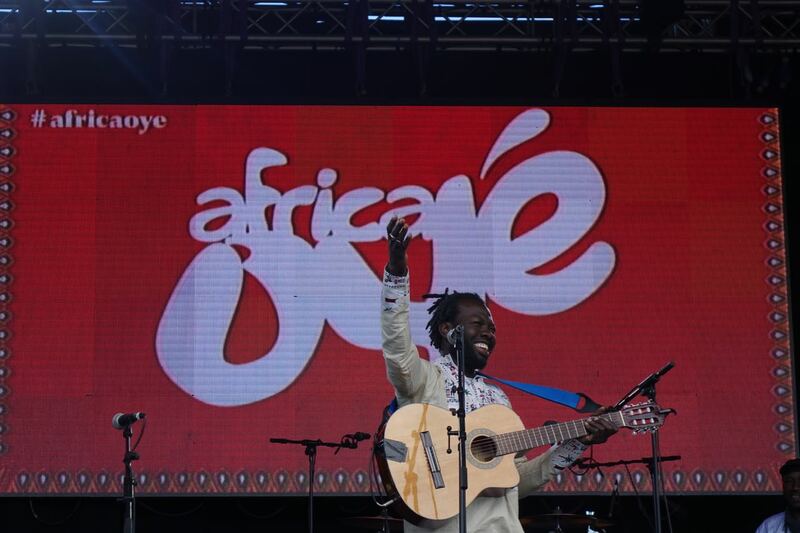 Africa Oyé, a Festival to take part in. 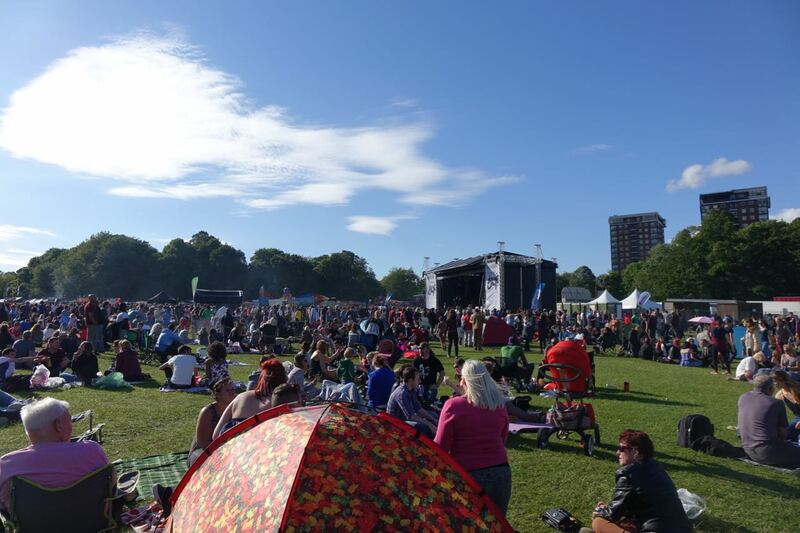 The greatest musical and cultural event of Liverpool’s year, every year. That’s 23 years of Africa Oyés now and I’ve been to every one. Thank you, all of you who organise them, perform at them, run things at them and turn up at them. A great city, my city, at its very best. Street of the Year? Cairns Street in Granby. Looks very colourful, must go tomorrow. I’ve heard of a rain dance – Tommy must have done a sun dance – hes the Sundance Kid. tom calderbank gets everywhere! he is a governer at my kids school, such an enthusiastic man. He is indeed. And as we found out on Saturday, he has magical powers. Been a big supporter of ours’ at Granby 4 Streets and never misses a Street Market. Even if it rains he still dances in the street!